Bomb vessels needed to withstand the powerful downwards recoil of the mortars. Small beamy structures like the Dutch galiots were well suited for this. The bomb vessels were difficult to sail, in part because they typically had the masts stepped farther aft than would have been normal in other vessels of similar rig, in order to accommodate the mortars forward and provide a clear area for their forwards fire. This model of the Dutch bomb galiot was built to plans of Helmut Breisinger. It is a beautiful and detailed, excellent piece of work by an experienced model builder. 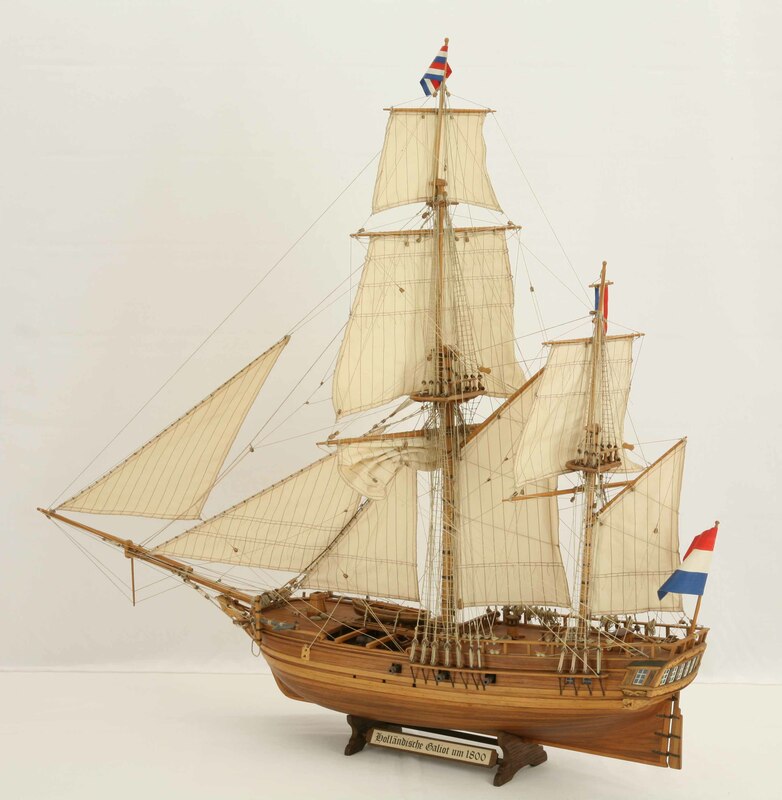 The ship model is 1 : 50 scale. Length is 99 cm, width 30 cm, height 86 cm.